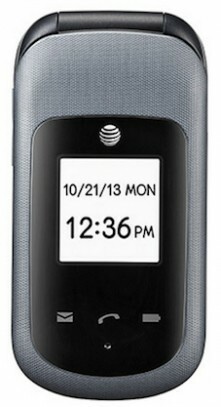 AT&T recently added the Pantech Breeze IV to its lineup of inexpensive flip phones. The Breeze IV is a simple device, but offers a large 3-inch main screen with 400 x 240 pixels, and a 1.44-inch external screen with 128 x 128 pixels. The Breeze IV includes three quick-dial buttons, as well as dedicated buttons to access the camera and speakerphone. The Breeze offers Easy Mode with simplified menus, Slow Speech to make calls/voicemail easier to understand, and large keys and fonts for improved accessibility. Other features include a 3-megapixel camera with LED flash, Bluetooth 2.1+EDR, support for microSD cards, and basic messaging/media apps. The Breeze IV costs $39.99 with a new two-year contract.